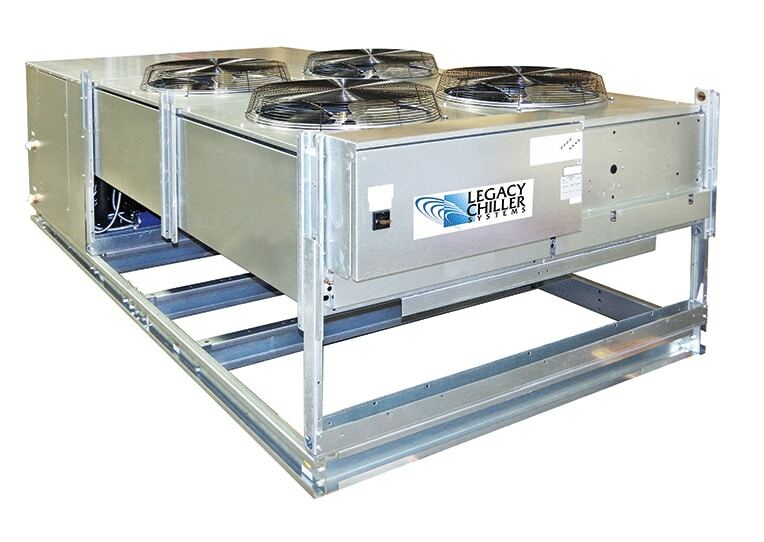 Package Air-Cooled Process Chiller with Semi-Hermetic Compressor | Legacy Chiller Systems, Inc.
Legacy’s model PSA semi hermetic process chiller system is ideal for larger industrial cooling applications. This air-cooled chiller is available from 1 to 120 HP. 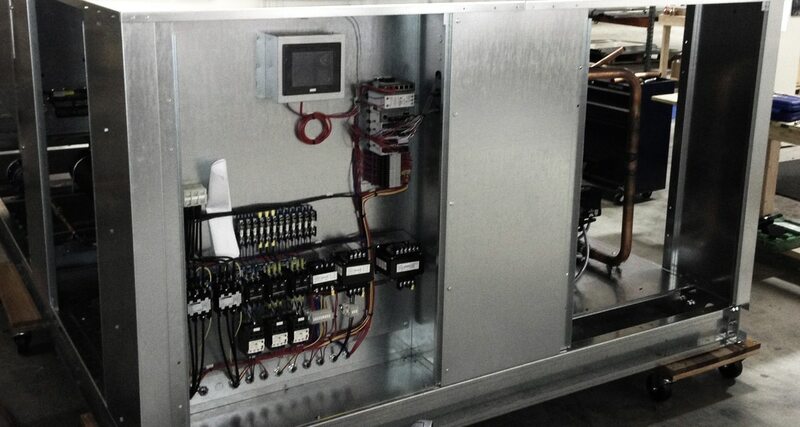 Note: All package systems are also available in split condenser configurations.